All soaps showed solid ratings during the holiday season! Get the details. All Soaps Get Ratings Bump for the Holidays! All four soaps got a solid ratings boost during the last week of 2016 from December 26-30, even though they were all down in viewership when compared to last year. 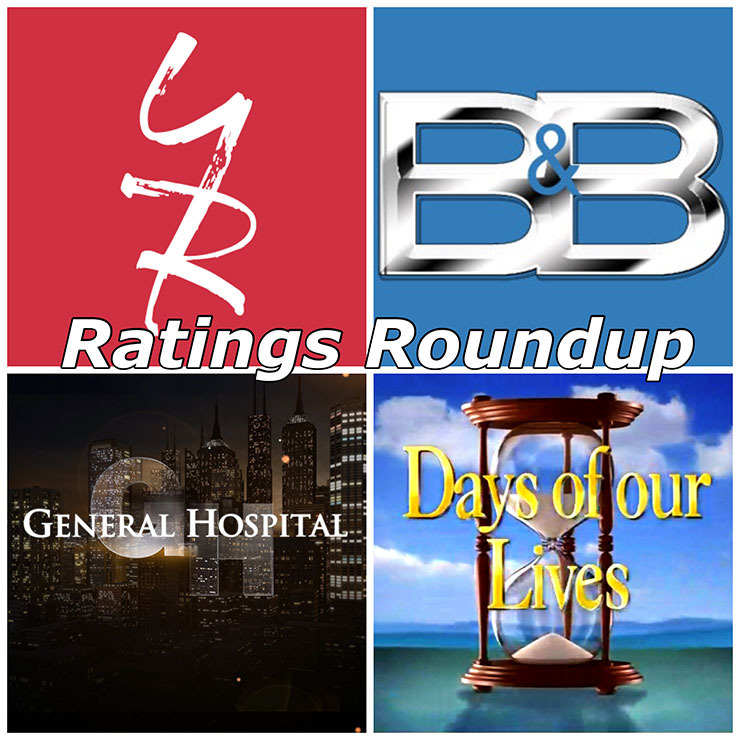 During the last holiday week of the year, top rated soap Young & The Restless was up more than 5 million in total viewers. Following right behind Y&R, sister soap Bold & Beautiful came in at a solid 4 million plus viewers. General Hospital held its own in third place with almost 3 million viewers, while Days of our Lives held its own to have more than 2.5 million viewers. Unsurprisingly, with Sally Sussman returning as head writer, Y&R had a lock on all key demos of women 18-49, 18-34, and 25-54, respectively. B&B followed suit in a solid second place with gains across all demo categories. DAYS beat GH to take third place in the 18-34 ratings demo, while GH hit an all-time low for fourth place. DAYS also gained in all the other key demos and tied GH in total viewership in the 18-34 category. You can check out the full ratings at Soap Opera Network. Give us your input in the comment section below. Check back with Soap Cities for more soap opera ratings! Follow us on Twitter at @soapcities, on Instagram at @soapcities, and come chat with us in our Facebook group. Previous ArticleSoap Cities Fun Poll: Who Should Get Custody of GH’s Charlotte? You Be the Judge!